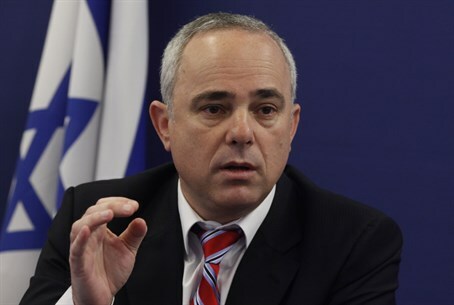 Intelligence Minister Yuval Steinitz says Iran nuclear talks 'going in the wrong direction,' hints EU is 'rushing' into agreement. Israel's Intelligence Minister Yuval Steinitz on Wednesday urged the European Union (EU) not to make a "bad deal" with Iran over its nuclear program, ahead of crucial talks. Steinitz suggested outgoing EU foreign policy chief Catherine Ashton may be in a rush to conclude a deal before she steps down at the end of this year. He also said the fight against Islamist extremists in Iraq and Syria should not harm efforts to stop Tehran from obtaining a nuclear bomb. Iran and world powers are preparing for new talks starting on the sidelines of the UN General Assembly this week in New York. Western countries, including the US, accuse Iran of trying to develop nuclear weapons, a charge Tehran denies. "We appreciate Catherine Ashton's efforts, but the Iranians might tend to believe that if somebody has to finish his job on this date, then somebody will have extra motivation to try to conclude a deal," he said. "I hope this is not the case. I hope that Catherine Ashton can say, 'OK, I've tried but if the Iranians have shown no flexibility so far... maybe there is no deal,'" Steinitz said. "We are deeply concerned... we feel the negotiation is going in the wrong direction," he added, without elaborating. Israel has long threatened military action against Iran to stop it obtaining nuclear weapons capability, and slammed world powers including its US ally for opening up talks with Iran last year. Steinitz urged world powers not to sideline the Iran issue as they concentrate on battling terrorists from the Islamic State (IS) group in Iraq and Syria, echoing remarks made by Prime Minister Binyamin Netanyahu last week. "Some people think let's clean the table, let's close the Iranian file," he said. "Israel supports the coalition against (IS) ... but not at the expense of the struggle against the Iranian nuclear project," he said.